From interacting with life-size T. rex replicas and digging like archeologists at an actual excavation site, to biking on the beach or pretending to be BMX riders on a mountain bike obstacle course, our family has had many adventures in Virginia through the years. Now that the weather is cooperating (for the most part! ), we are ready for our next trip. Are you and your brood also looking to hop in the car, head off, and explore some place new? Consider trekking to one of these Virginia destinations – most within a morning’s drive of Richmond – and prepare for some serious family fun this spring! 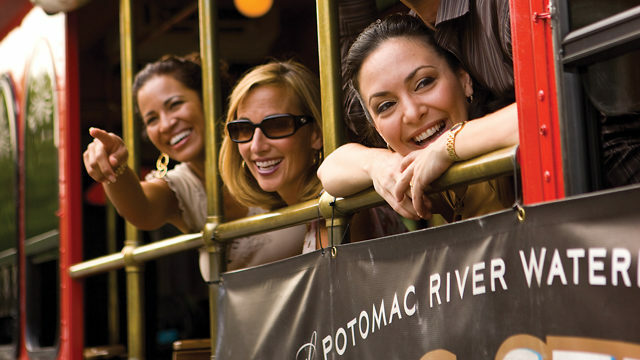 When we are in Old Town Alexandria, the four of us simply enjoy strolling through the streets, window shopping, and taking in the fresh air. My kids – now ages twelve and ten – especially appreciate watching the boats coming in and out along the pier at the end of King Street. Last spring, we took the grandparents on a tour from Alexandria down the Potomac River to view the monuments in Washington, DC, during the height of nature’s cherry blossom show. Art enthusiasts will want to catch the action at Torpedo Factory Art Center, home to more than 150 working artists, seven art galleries, and the Alexandria Archeology Museum. Founded in 1974 in an old munitions plant, the Torpedo Factory is home to the nation’s largest collection of working-artists’ studios under one roof. 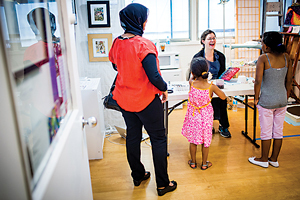 A friend of mine, who frequently visits the center with her kids, says she loves it so much she could spend a whole day there. Alexandria is a stone’s throw from Mount Vernon for history buffs interested in touring George Washington’s home. at the Fish Market on King Street. My family and I always appreciate a trip to Charlottesville in the fall for apple-picking at Carter Mountain Orchard, though you can also pick your own peaches, nectarines, and some veggies, too, in the spring and summer. Spend the afternoon collecting your bounty while indulging in fresh apple or peach cider doughnuts, ice cream, or cider slushies. 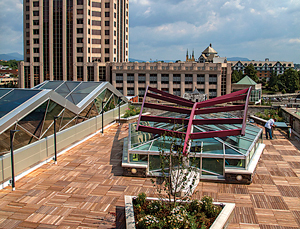 The orchard showcases live music for families on Thursdays. Bring your walking shoes for a hike on the Saunders-Monticello Trail, which winds up the mountain for fantastic views overlooking the town. 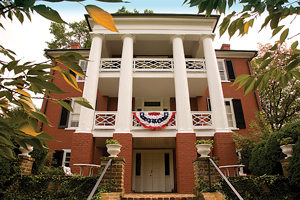 Charlottesville is mere minutes from Monticello, one of my son’s favorite places to visit. He might be the biggest history lover in the family, and he’s a huge Thomas Jefferson fan. 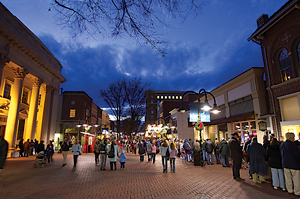 Or, head to the Downtown Mall for a stroll, shopping, or a visit to the hands-on Virginia Discovery Museum with your little ones. since they were preschoolers. Watch as sheep are sheared, and then let the kids wear themselves out on the playground. 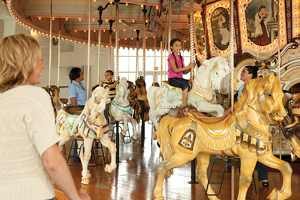 Stay for a picnic lunch, then head downtown for a ride on the historic carousel, restored from the 1920s. Don’t forget to bring quarters for animal snacks. 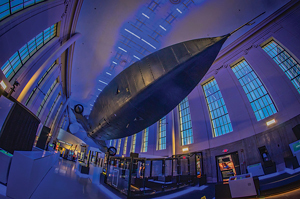 Next, visit the Virginia Air and Space Center next door, where families can learn more about the sun in the solarium, formulate plans about growing up to be astronauts one day, take in an IMAX film, or let their imaginations run wild in the new Engineer It! Playground. End your day in Hampton with a burger or hot dog overlooking the water along the marina at The Barking Dog. First things first! Amazement Square Children’s Museum is, well, amazing. My son loves to climb and crawl, and make sure you save time for “From Here to There to Everywhere.” It’s one of his favorite attractions. The exhibit features one of the tallest climbing structures in the country with a seemingly endless maze of slides, ladders, tunnels, and a zipline. My daughter, meanwhile, can be quite the drama queen, so “The Art of Acting” exhibit was the perfect fit for her. Tweens and teens (and moms and dads, too!) 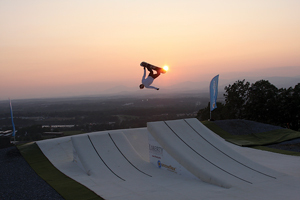 will also have a blast at Liberty Mountain Snowflex Centre, the nation’s only outdoor, artificial venue for year-round skiing, snowboarding, and tubing. The Lodge has a fabulous view of the Blue Ridge Mountains. Bring your bikes for a ride on the Blackwater Creek Natural Area and Trail along the James River. Enjoy trains passing by while you dine at The Depot Grille along Lynchburg’s historic riverfront. The restaurant was converted from an old train depot. 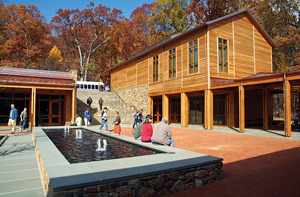 My kids love to spend hours at Virginia Living Museum walking the outdoor boardwalk through some of Virginia’s native habitats, watching animals, pretending to be vets in the “Wild and Well” exhibit, getting up close and personal with the creatures in the touch tank, and seeing stars in the planetarium. New this year is the “Dinosaur Discovery Trail,” where families can interact with life-size dinos, explore exhibits on fossils, and dig in pits like paleontologists. 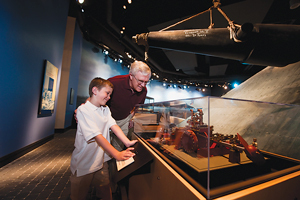 The Mariners’ Museum and Park down the road allows you to enjoy the history of the sea. Next to this museum is Noland Trail, a five-mile trail with beautiful bridges overlooking Lake Maury. Continue your outdoor adventures at Newport News Park, one of the largest municipal parks in America. We like to hike and bike here, but there are several playgrounds, plus regular golf and disc golf courses, an archery range, and a 30-acre aero-model flying field (the perfect space for our kids to fly their remote control Millennium Falcons!). Enjoy hot wings and hot rods at the car-themed Quaker Steak and Lube. 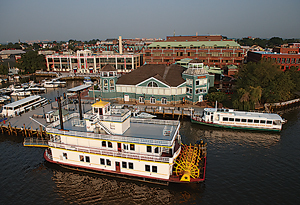 Whether you are into flora or fauna, Norfolk has plenty in store for everyone in your family. The Norfolk Botanical Garden boasts the “WOW Children’s Garden” with interactive exhibits and splash fountains, while the Virginia Zoo will soon be adding new creatures to its renovated “World of Reptiles” exhibit, slated to reopen later this year. The Chrysler Museum of Art, meanwhile, has various programs and displays including free glass-blowing demos Tuesday through Sunday. We also love to enjoy the sunshine at nearby Town Point Park along the waterfront. Town Point Park hosts numerous family-friendly concerts and festivals throughout the year. While you are in the area, be sure to pop over to Portsmouth to visit The Children’s Museum of Virginia, where adventure awaits on two levels of fun. Popular exhibits here for my children have been the train exhibits, the bubbles zone, and the art studio. 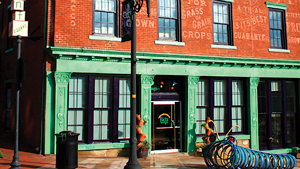 Younger kids will enjoy playing make-believe while shopping in the “From Farm to Foodmart” attraction. 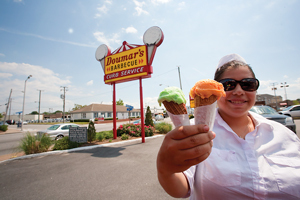 Eat at one of the new restaurants in the recently renovated Waterside, reopening this month, or enjoy a milkshake or ice cream at Doumar’s, home of the first waffle cone. If you go: An hour and forty-five minutes from Richmond. 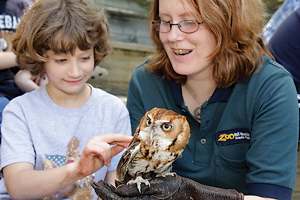 Mill Mountain Zoo in Roanoke is home to a variety of mammals, birds, reptiles, and invertebrates for your family’s delight. 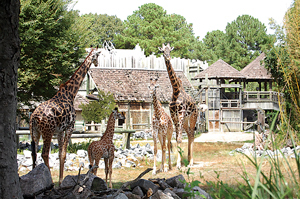 The zoo is located within Mill Mountain Park, which has ten miles of trails, a playground, a picnic area, and one of the town’s famous landmarks, The Roanoke Star. 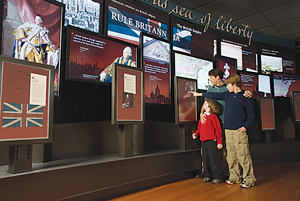 Roanoke is also a museum mecca for families. You can show your children what real video games are like at The Roanoke Pinball Museum, bring out your child’s inner Einstein at the Science Museum of Western Virginia, engage in some time travel at the History Museum of Western Virginia, and learn all about trains, planes, and automobiles at the Virginia Museum of Transportation. Don’t forget to bring your swimsuits for some fun at the Green Ridge Recreation Center and Splash Valley Water Park. Roanoke is not far from Natural Bridge, which was converted to a state park last year, so hit it on the way in or out of town. For some good old-fashioned ice cream, pop over to Pop’s Ice Cream and Soda Bar. In Staunton, discover what life was like for early American immigrants at the Frontier Culture Museum. Indoor and outdoor exhibits will engage you and your family as you learn about farm life, as well as what it was like for those of English, German, Irish, and the enslaved people of West African descent. Take a guided horse trail ride through the Shenandoah Valley at Star B Stables, or hop a ride on the Gypsy Express mini-train through Gypsy Hill Park. Gypsy Hill Park has trails for biking, walking, and roller-blading as well as an action skate park, a duck pond, and a pool. 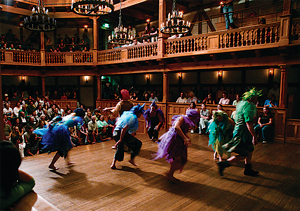 Literature and history enthusiasts, meanwhile, will want to catch a show at the world’s only re-creation of Shakespeare’s indoor theater at the American Shakespeare Center, or visit the Woodrow Wilson Presidential Library and Museum to learn more about the twenty-eighth president. Enjoy some homemade gelato at the popular ice cream shop The Split Banana Co.
Of course, you can sunbathe and collect seashells on the beach, but what we really like to do along the Virginia Beach oceanfront is bike the boardwalk. There is a separate path just for the cyclists, and we ride from playground to playground, starting at Grommet Island Park on 2nd Street and ending up at the beach playground near the statue of Neptune on 31st Street. (There is also another playground on 10th Street.) 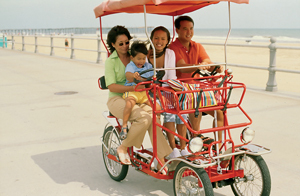 We bring our bikes, but it’s easy to rent traditional bikes or those multi-seaters at a variety of locations. 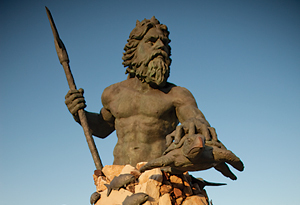 Virginia Beach’s oceanfront has plenty of free, family-friendly activities throughout the summer. Have a blast exploring and learning at the Virginia Aquarium and Marine Science Center. 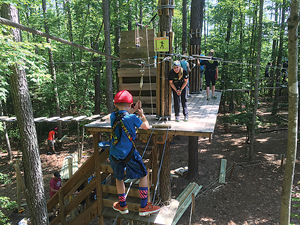 Older kids will want to climb and zipline their afternoon away at The Adventure Park here. Meanwhile, at Mount Trashmore Park – yes, the park used to be a landfill, hence the name – you and your family can hike, fish, picnic, and play all day. Little ones will tire themselves out at the Kids’ Cove playground, while tweens and teens can hit the volleyball court or skate park. Enjoy a slice of pizza at Pungo Pizza, and then hit the beach for an afternoon of fun in the sun at Sandbridge, a quaint little section of Virginia Beach that’s off the beaten path. 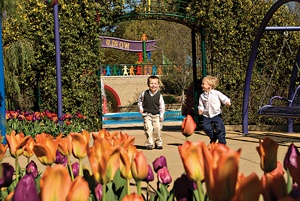 Yes, Busch Gardens is awesome, but Williamsburg has a whole lot more for families! For instance, there’s the beloved Kidsburg at Veterans Park, a 30,000 square-foot lighted playground for kids through age twelve, plus open space, tennis courts, pickleball courts, volleyball courts, and basketball courts for the teen set. Thrill seekers will find miles of mountain bike trails and Go Ape Adventure Park at close-by Freedom Park. Our family prefers a quiet afternoon of fishing, kayaking, and hiking at Waller Mill Park (Waller Mill Park has a dog park, so bring the pup along for the fun). 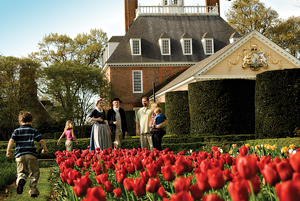 And then, of course, there is Colonial Williamsburg. I am practically there on a weekly basis strolling along Duke of Gloucester (or DoG) Street. As a family, we like getting lost on purpose in the mazes and gardens at the Governors’ Palace, partaking in the craft activities at DeWitt Wallace Decorative Arts Museum and Abby Aldrich Rockefeller Folk Art Museum, and digging at an actual archeological site – the cellar of Archibald Blair’s Storehouse (an eighteenth century store) – through the “Dig! Kids, Dirt and Discovery” program. You can’t leave Williamsburg without stopping for a bite at Pierce’s Pitt Barbeque. Williamsburg has several ice cream and fro-yo options as well, but we love the stuffed sno-cones (an ice cream and shaved ice combo) at Sno-to-Go. The secret is out! My family and I live on the outskirts of Williamsburg, so we visit Richmond often as tourist-local hybrids. Our go-to spots are the Science Museum of Virginia (my son is tickled by the fact that this museum used to be an old train station), and Lewis Ginter Botanical Garden. Last season, my kids couldn’t get enough of the LEGO exhibit at the garden. One of our favorite things to do has been to pedal through the petals on our bikes at Bryan Park, just down the street from Lewis Ginter, before we frolic through the flowers on foot at the garden. On a warm, sunny day, though, you will surely find us on Belle Isle. The four of us get our thrills riding through the ramps at the Belle Isle Bike Skills Park, then splashing in the river, and noshing on sandwiches and snacks on the boulders. Also, if you haven’t crossed the James River on the new span for pedestrians, the T. Tyler Potterfield Memorial Bridge, you’ll need to add that to your family’s to-do list. Not only is it a beautiful walk, you can catch up on Civil War history and learn about the days leading up to Richmond’s surrender. The latest art installation on the south side of the river is very cool, too. Maybe we’ll see you there! We usually hit Buz and Ned’s for BBQ before a Flying Squirrels game at The Diamond, another outing we enjoy while in Richmond. Previous articleIs My Advisor a Fiduciary? Next articleRVA Support Groups – and Why They Matter!